Why aren't my stamps updating on my card? First things first, make sure that you have the correct card installed in Apple Wallet or Google Pay. These are your live cards to distribute to customers. 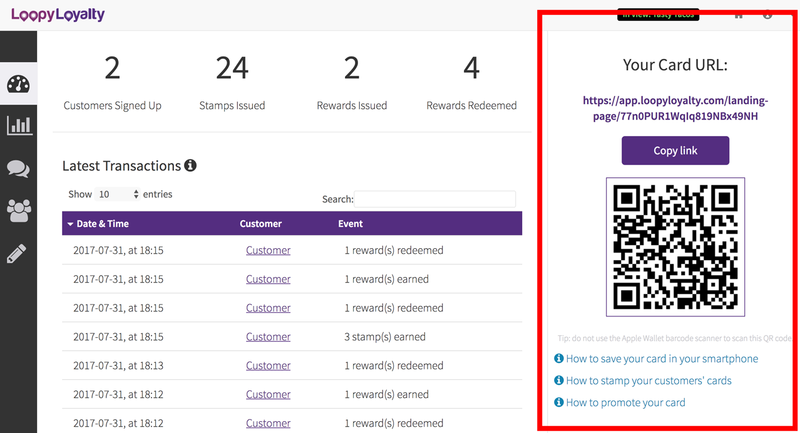 You will only be able to issue stamps and redeem rewards from cards installed via your card URL on this page. What about my preview card? Cards that you have installed from the 'Preview' page (see below) will not update to receive stamps or rewards. These cards only allow you to see what your card will look like before activating your card designs or making an update to all of your cards. Note: This preview card is not to be sent to your customers. 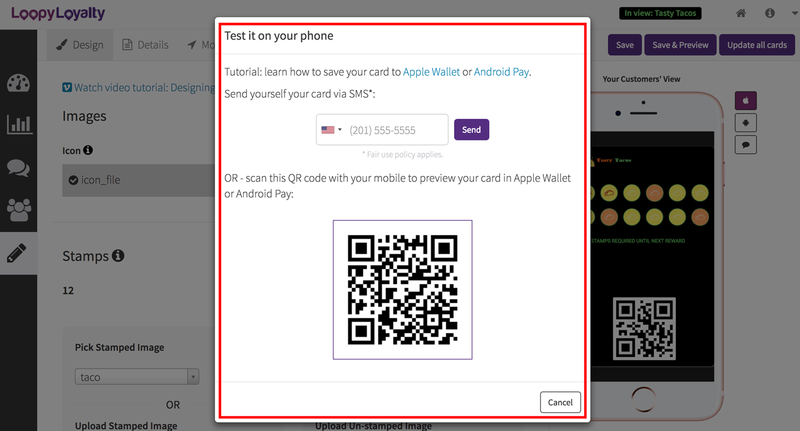 You should only send an SMS to yourself or scan the QR code with your phone. Only use the Card Link shown on the Card Overview page after card activation.